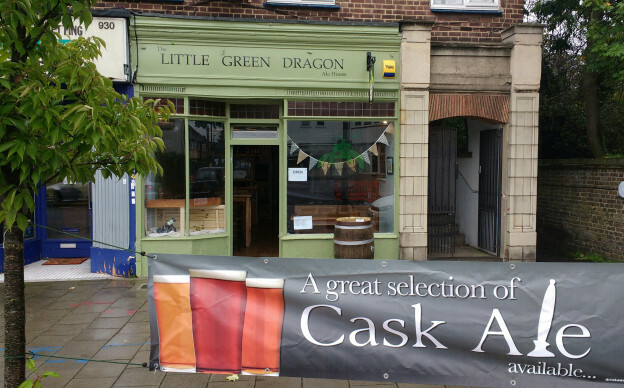 Buses 329 (from Enfield and Palmers Green) and 125 (from Southgate, Whetstone and Finchley) stop right outside the Little Green Dragon. The nearest train stations are Winchmore Hill or Grange Park (5 to 10 min walk). The nearest underground station is Southgate (Piccadilly Line), then catch 125 bus. The Parkland Walk is an old railway track that closed down in the 1950s when Mr Beecham decided that many small railway stations were no longer economic. There was a huge outcry but they closed anyway - stations that closed along The Parkland Walk were such as Crouch End and Muswell Hill. 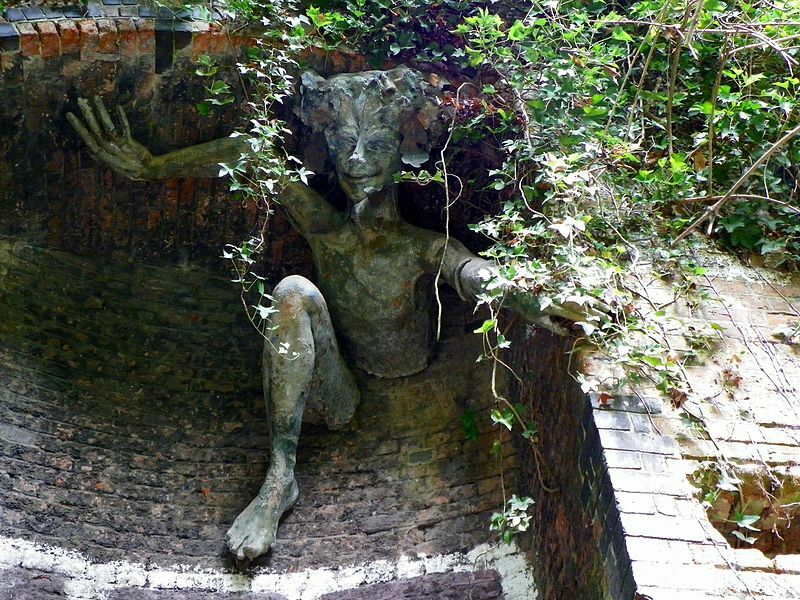 Many years later it was rescued from brambles and oblivion by a conservation/ permaculture group, who commissioned a statue of a 'spriggan' to be made by a sculptress. She built it into the side of one of the arches beside a short tunnel, made of brick. they’ve heard the rumours, and the rumours are right. The goat man’s eyelids open a tiny crack. down the path and out onto the lane. The last train chuffed its way down this track in 1954.
were cleared, now Nature was to be conserved but controlled. in a sea of twinkles across to the Thames and beyond. It’s a clear cold crispy night and a full moon is rising. rusty as old iron, speaks in a hoarse whisper, to himself. Facing Your Dragons - writing trauma and abuse.